the scenes were filmed inside studio sound stages. And that's often true. Los Angeles locations were used in the filming (albeit, enhanced with CGI). a scarlet jungle, with a tribe of angry alien aborigines hot on their trail. that have been turned into giant sound stages by Raleigh Studios. floating platform, was also shot on this same Playa del Rey property. just west of the 405 Freeway, and just south of the Marina del Rey freeway. The adjacent sound stages are located at the corner of Campus Center & Bluff Creek Drives. Here is a Google StreetView of the area. the desperate father that he can save the girl (with a blood transfusion) - in return for a deadly favor. California. And it's not a hospital in real life - it's a home (or at least, it used to be). 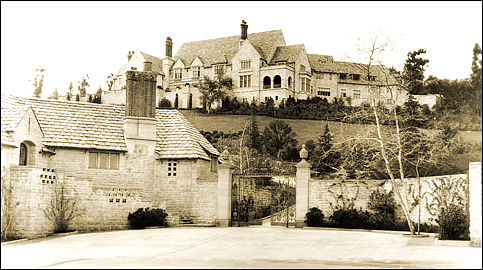 This is none other than Greystone Mansion, at 905 Loma Vista Drive, in Beverly Hills. a family tragedy at the house, the estate was willed to the City of Beverly Hills. Now part of Greystone Park, its grounds are open to the public, so feel free to drop by. A lot of movies have been filmed here, including "X-Men", "The Social Network", "The Muppets"
"National Treasure", "The Bodyguard", "All of Me" and "Indecent Proposal". (as a futuristic hover-car passes), revealing a full view of the mansion at 0:11:06.
and also added a fake glass wing behind the mansion. as you can see in this Google StreetView of the Greystone's gates. which is supposed to be in San Francisco. But, of course, it isn't. It's L.A. again. this location should be familiar to many Los Angeles residents. north/northwest towards the Museum Entrance Hall. which visitors pass through at the start of a visit to the Getty. Garden Terrace Cafe, with the camera looking south. There are normally dining tables & chairs here, but they removed them for the scene. ( Ignore the fake ocean background - that's just more CGI. 0:18:03: After Khan saves the life of Lucille Harewood, the child's grateful father repays the favor. Below, we see him approaching the "Kelvin Memorial Archives". 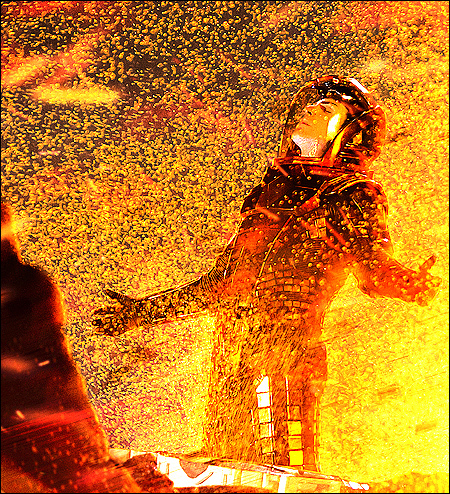 He goes inside and sets off a bomb - killing himself and destroying the Archives. A British flag is shown flying from the building -- it's supposed to be in London. But it's not. This scene was actually shot in two different places - both in downtown L.A.
located at 650 S. Spring Street, in downtown Los Angeles. Pacific Center Building, at 523 W. 6th Street, also in downtown L.A.
That building is about three blocks northwest of the Bank of America building. 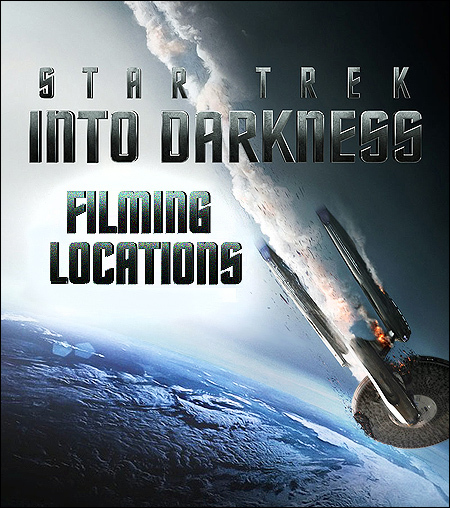 More "Star Trek: Into Darkness" locations! 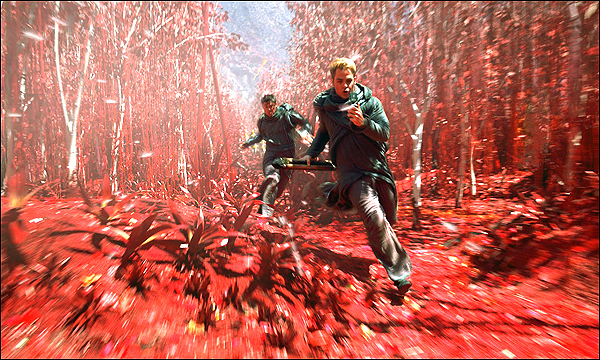 The screencaps on this page are stills from "Star Trek: Into Darkness"